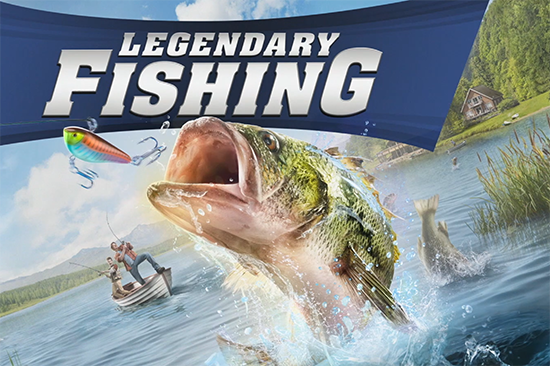 Legendary Fishing, the arcade style casual fishing game, turns players into anglers. Different rods are available to choose from and in three modes they improve their fishing skills. Whether you want to master the increasingly challenging challenges with friends or simply relax to find your focus, there is always something to do. The players expect pure fishing pleasure. And much easier than in real life! Ejecting, catching and catching, however, must be learned, because many a fish will not make it easy for the player. Therefore, it is important not to let the fishing line break. The Nintendo Switch-Joy Cons or PlayStation Move motion control, as well as the classic controls, help the player eject the fishing rod with ease. In 80 missions, the fishing skills of the players are challenged. From recreational anglers, they can rise up to the legendary professional. During the game, they unlock ten realistic pitches with different fish, four seasons and changing weather conditions. You need to collect 21 different species of fish, including fishes of legendary size plus eleven fishing rods, eleven coils, 48 ​​lures and eight flies. A second player can also help attract or catch the fish. The best anglers can look forward to 34 trophies. In Arcade Mode, players determine the rules such as time, win requirements or the weather itself. Up to four players can play on the split screen at the same time. With Nintendo Switch, fishing is guaranteed on the go.